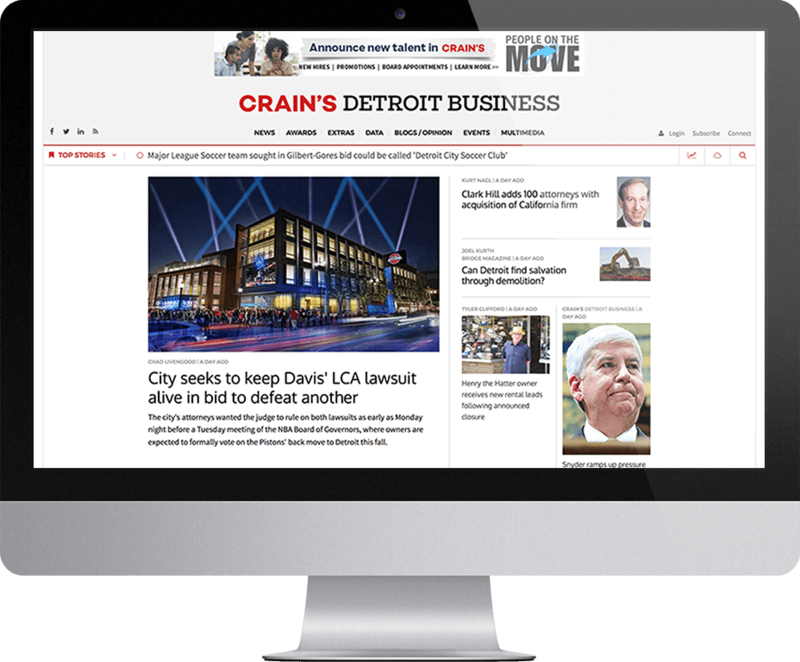 Crain Communications is an American publishing company that focuses on providing trade publications, as well as city-specific business newspapers for its readers.  When Crain determined that they needed a core site to be built for one of their flagship publishers, which they intended to use as a blueprint that would extend to future Crain websites, they selected Appnovation as the Drupal experts for the job. Based on both our company’s experience and Drupal project portfolio, and proven prowess in building solutions across multiple applications/publications, Crain engaged Appnovation to design, create and deliver a core solution. This was for a significant, primary publication, Crains Detroit, that would act as a catalyst for extending Drupal across 20+ publications in the Crains publishing stable. 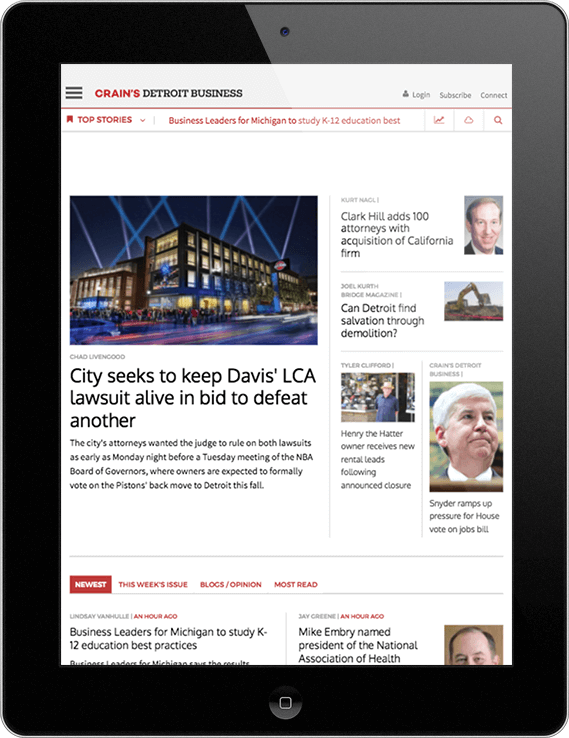 Appnovation worked closely with the Crain’s team throughout the project, from inception to completion, to carefully craft a digital strategy using Drupal 7, before, ultimately implemented this core product onto Crain’s Detroit site. During this process, Appnovation imported over 130,000 news articles, and created a way to search and sort articles by implementing a custom “profile”. This was achieved by using taxonomy terms and categories. Profiles also provided the possibility to add and remove articles, as well as order the stories. In addition to delivering the core product to Crain, Appnovation also provided quality assurance, post-launch, across Crain’s various other partners, thus ensuring that Crain received all the support they needed in working with their new core product.